Get Your Rockin' Green Ticket from a Knickernappies Retailer! 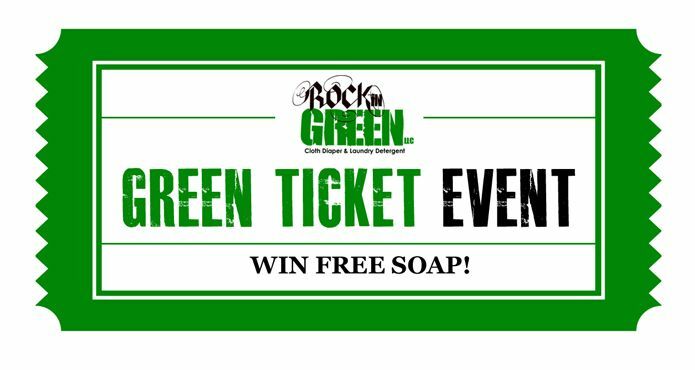 It’s back…Rockin’ Green’s Second Annual Green Ticket Event. 1) Purchase a bag of Rockin’ Green cloth diaper detergent from your favorite participating Knickernappies retailer. 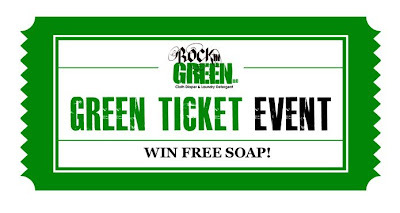 Look for the Rockin' Green seal on their websites to verify that they are participating in the Green Ticket event! So let’s get this party started! Be sure to spread the word on Facebook too to make sure all your Rockin’ Green family and friends are up on the good news! Please see official rules for more details or watch the embedded youtube video below.